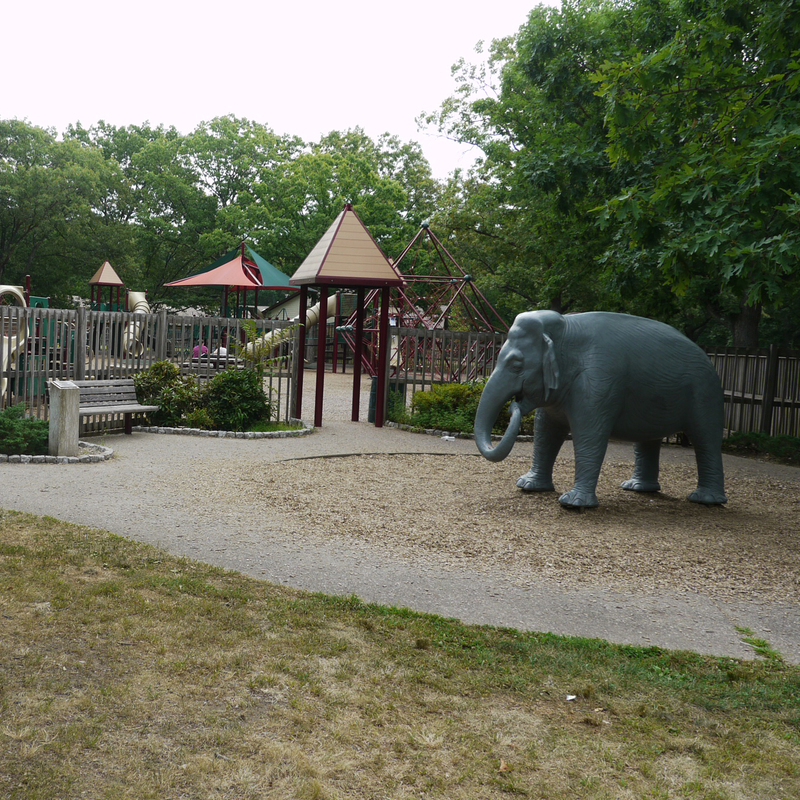 History: Fanny was an Indian elephant that lived in the zoo at Slater Park in Pawtucket. 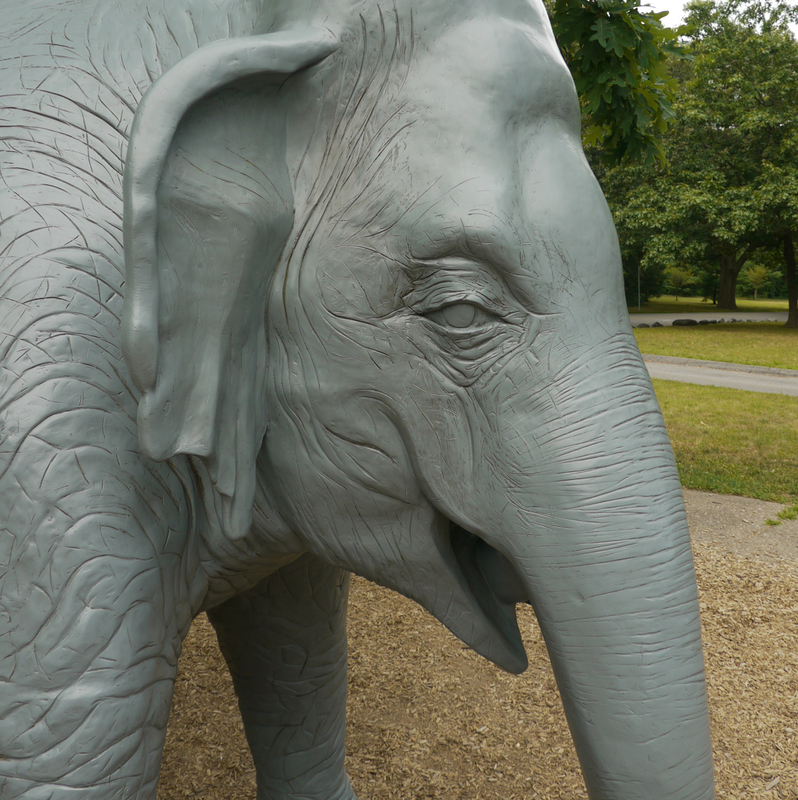 The city closed the zoo in the 1990’s, sending off all the animals except the beloved elephant. 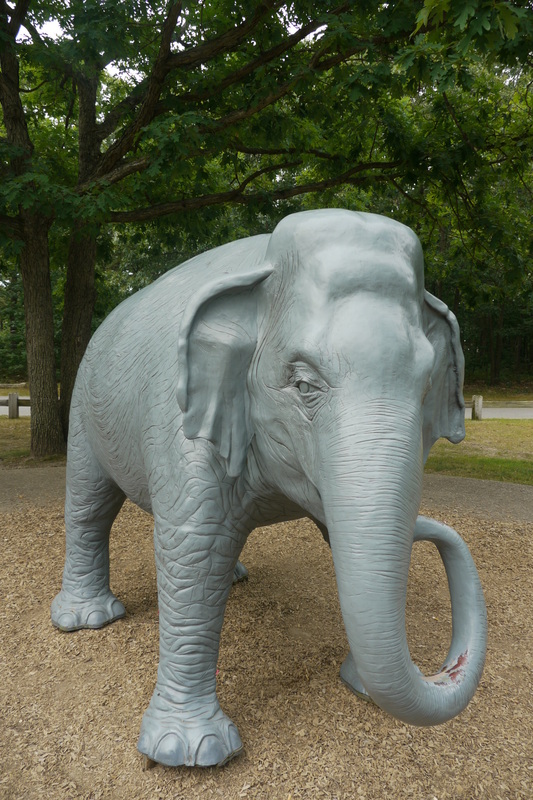 For 30 years, Fanny was a key attraction at Slater park. Three generations of Pawtucket residents knew her, visited her regularly, fed her, touched her, and spoke to her. All this attention, though well meaning, led to Fanny becoming dangerously over weight. The facility she was kept in was inadequate and the city didn’t have the resources to upgrade. A group of animal rights activists lobbied to have Fanny moved to a facility where she could be with other elephants. In 1993, she was moved to the Black Beauty ranch in Texas where she lived with another elephant and many other rescued exotic animals. She died there in 2003. 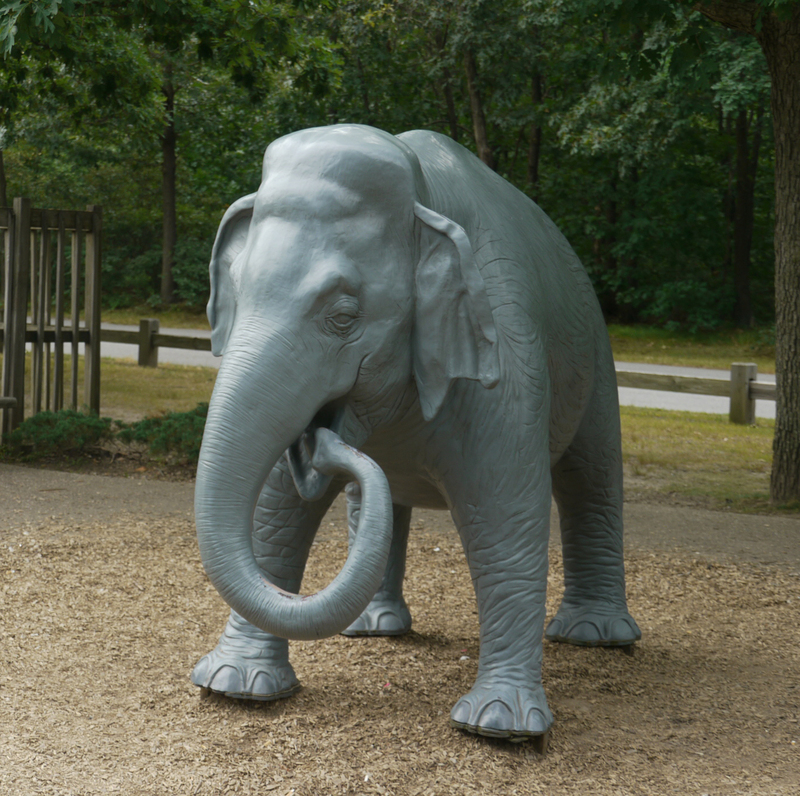 The Project: Create a sculpture that would commemorate Fanny and be climbable, functioning as both a memorial and a play structure. The Solution: The sculpture shows Fanny feeding herself an apple (which for the real Fanny would probably have been provided by a visitor). The loop her trunk forms provides a seat for very small children and a step for older kids to get to her back. 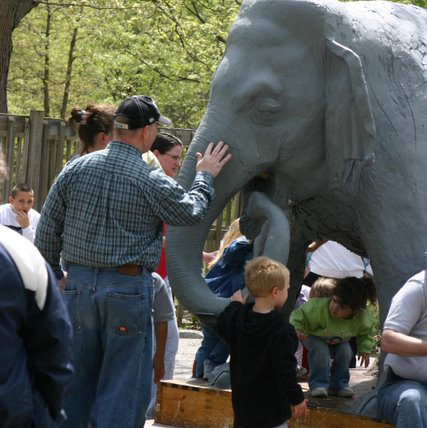 We put an armature of stainless steel inside the casting to strengthen the piece to receive the rough attention of kids at the park. I tried to capture in the expression the benign and friendly nature that was recounted to me so many times by her fans. 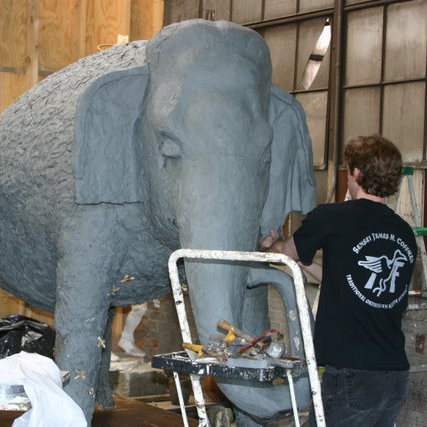 Recollections: We decided to cast the sculpture in fiberglass as a concession to the budget. It turned out to be the right material as bronze would have become dangerously hot for young climbers.